Reconnect with Louisa May Alcott's beloved March sisters of Little Women, as they continue their story in Good Wives. Through weddings and travels, heartaches and happier days, follow Meg, Jo, Beth, and Amy from girlhood into adulthood. 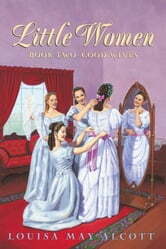 This classic novel's enduring values of loyalty and love have kept readers delighted for generations.